A growing number of people renting their home are set to be more influential which means they could influence the outcome of future British elections, it is claimed. While 53% of private renters voted in 2017, a noticeable jump on previous elections, that would rise further to a 69% if a snap election were called this year, according to new research from AXA Insurance. An epidemic of financial anxiety amongst renters is likely to be fuelling this greater political engagement. The survey found that 72% of private renters suffer from financial anxiety, defined as affecting their sleep, relationships or health, which exceeds the already high British average of 68%. The single biggest trigger is the inability to save for a deposit for their own home, according to 59% of renters while debts, bills and insecurity of tenure were each cited by half as many tenants. As of this August, the average amount someone renting privately can save is £102 per month; a quarter of renters say they can’t save anything. The main differentiator is gender, as female renters save a third less per month on average than men. Wales and Scotland are also hotspots for lower saving ability, as the monthly figures fall to £84 and £60 respectively. As a result, two thirds of tenants aged under 35 say they are considering cheaper alternatives to renting, with 28% moving back in with their parents. Caretaking a property and moving to a non-traditional property such as a motor home or outhouse and sub-letting were the other emerging solutions. Measures that help tenants keep more money in their own pockets are likely to have the biggest resonance at the ballot boxes in the future. Rent controls, indexed to inflation or average incomes, are the single most popular proposal for fixing Britain’s housing crisis amongst tenants at 69% while increasing taxes for private landlords was favoured by just 8%. When asked the length of tenancy agreement they would prefer, most tenants, 62%, still opted for a period of one year or less. The Government’s plan to introduce three year tenancies is most likely to find favour with tenants who have children but even in this group the preferred tenancy length is just two years. The five or 10 year leases as seen in Germany and other European countries are attractive to a quarter of renting families and the report suggests that one explanation for this low appetite among British renters for longer leases is that most expect to own their own home eventually, with just 12% of renters saying it is not likely. Given the high mobility among renters, the Tenants’ Fees Bill is likely to prove more popular than multi-year leases. 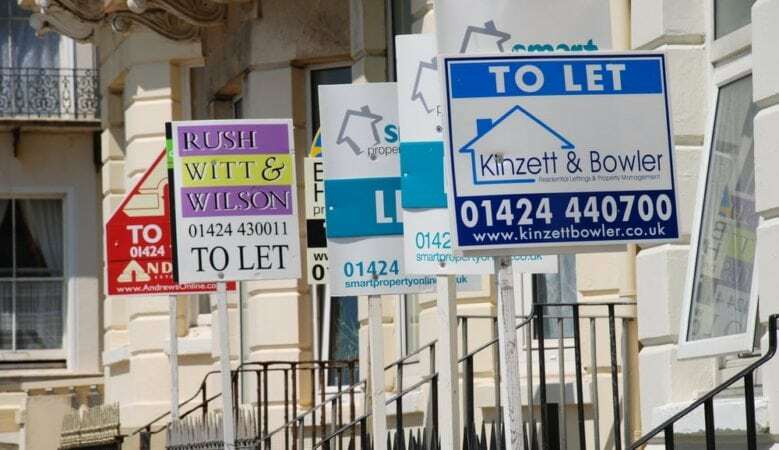 Six in 10 renters say they have had to pay the types of fees to landlords and letting agents that the Bill seeks to outlaw. These are mostly fees for starting, ending or renewing a tenancy agreement. Less relevant may prove to be the proposal to ban landlords from demanding deposits in excess of six months’ rent as only 8% say they have ever had to pay such a large deposit. ‘We’ve recently seen a flurry of legislation aimed at the private rental market. Landlords are responding to it, as our research over the past four years shows rapid improvements in energy efficiency and some, but far from enough, raising of safety standards,’ said Gareth Howell, executive managing director of AXA Insurance. ‘Our research over the past two years shows a very low awareness among tenants of this legislation and their new rights. Few are interested in punishing landlords, but do need mechanisms for building their own assets. Tenants are set to be an increasingly powerful voice in our society, making finding innovative financial solutions a political imperative in future years,’ he added.